The fiery crash that sent Scott Dixon’s car airborne on lap 53 of this year’s Indianapolis 500 has some racing experts—or at least members of one team—wondering if the IndyCar Series and Indianapolis Motor Speedway need to do a better job blocking certain drivers from competing in the Greatest Spectacle in Racing. Shortly after Dixon’s Ganassi Racing car hit Jay Howard’s car and went flying into the inside retaining wall, Ganassi owner Chip Ganassi told the IndyCar Series Radio Network that race and series officials need to do a better job screening drivers and determining who should and shouldn’t be in the Indianapolis 500. Ganassi told the radio network that is an issue he thinks needs to be discussed among series leaders. Speedway President Doug Boles told IBJ he hasn’t heard any such complaints in the wake of this year’s race. Tony Kanaan, the 2013 Indianapolis 500 champ and a teammate of Dixon’s at Ganassi, echoed Chip Ganassi’s sentiments hours after the race in pointed comments made to WRTV-TV Channel 6. Kanaan’s car just missed being collected in the accident. Kanaan and Ganassi pointed out that Howard hadn’t raced in the Indianapolis 500 in six years. It’s also been that long since the 36-year-old Englishman has raced in the IndyCar Series. 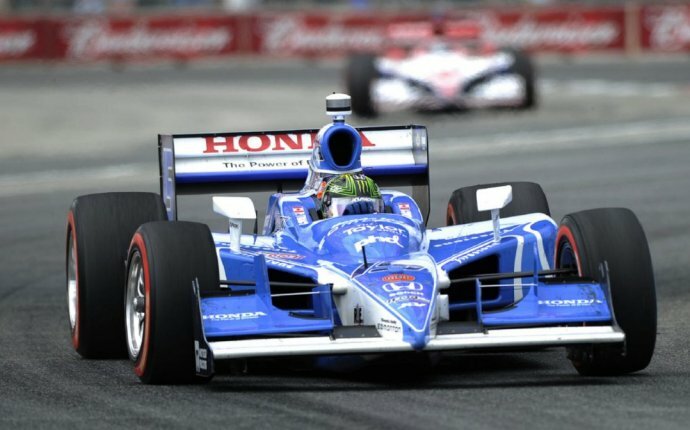 Kanaan and Ganassi also intimated that Howard needed to do a better job of letting faster cars go by. Howard, in a post-crash interview with ABC, blamed the accident on Ryan Hunter-Reay. Howard said Hunter-Reay forced him higher up on the track and into what is called “the marbles, ” small pieces of rubber shed off tires that can cause tire slippage if they are run over. Ganassi and Kanaan noted that Howard was already several (seven, actually) laps behind the lead when his car went into the outside wall, then rebounded into a collision path with Dixon, who was on the lead lap and appeared to be a title contender.